Disposing of dead birds is an on-going problem for poultry producers. 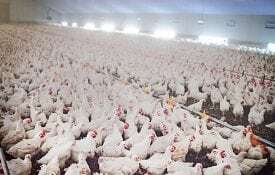 Sixteen million broilers are processed weekly in Alabama, generating about 750 tons of carcasses. Disposal of these carcasses is a serious environmental problem. If it is not solved, it may limit future expansion of the industry in Alabama. One method of disposal is a dead-poultry composter. Open-bottom burial pits are presently the most common method of disposing of dead poultry. However, water quality can be affected when open bottom pits are located in certain soil types where there is a high water table. Residue can remain in these pits after years of use. This residue is an important reason for considering other methods of disposal for poultry carcasses. Incineration is one of the biologically safest methods of disposal. However, it tends to be slow and expensive. Incineration can also generate nuisance complaints, even when highly efficient incinerators are used. Particulate air pollution is generated by incinerators, as well. Rendering is one of the best means for the conversion of dead poultry into a valued, biologically safe, protein by-product meal. However, producers using this method run the risk of transmitting disease. Disease organisms can be picked up on the truck and spread from farm to farm. 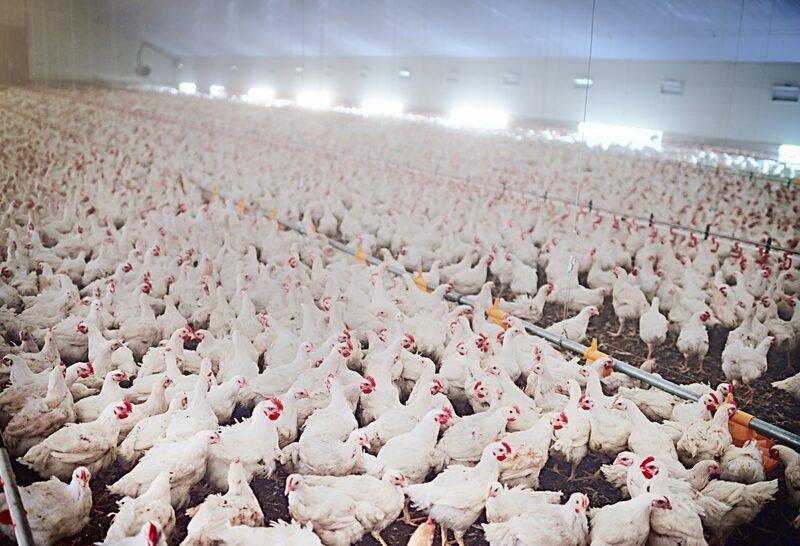 Because of increasing burial and incineration costs and stricter water- and air-quality regulations, poultry producers are interested in finding other disposal methods. Composting is one such alternative. Poultry composting has been approved in Alabama by the state veterinarian’s office, state and local health departments, and the Alabama Department of Environmental Management (ADEM). Alabama broiler producers have shown great interest in the composting technique. In late 1990, at least 25 full-size composters were operating in the state, and many more were in planning and construction. Preliminary studies of poultry composting were carried out by Dr. Dennis Murphy at the University of Maryland’s Poultry Research and Education Facility. The composting process involves mixing prescribed amounts of dead birds, poultry litter, a carbon source such as straw, and water. Caked or used poultry litter (usually pine shavings, sawdust, peanut hulls, or rice hulls) and manure is the primary compost medium. These materials supply ammonia nitrogen for the growth of bacteria. 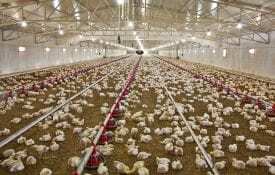 Since a mixture of poultry carcasses has a very large supply of nitrogen (N), straw is used to supply additional carbon (C) to adjust the C:N ratio. The mixture should be composed of 1 part poultry carcasses, 2 parts poultry litter, 0.1 part straw, and 0.25 part water, based on weight, not on volume. Such a mixture will have a C:N ratio of about 23:1 and a moisture content of about 55 percent. Acceptable C:N ratios are between 15:1 and 35:1. Acceptable moisture contents are between 40 and 50 percent. Other options for the disposal of dead birds are limited, and composting is a very desirable environmental and economic alternative. However, composters must be properly designed and constructed if they are to be effective. One of the first points to consider in building a composter is size. Two types of composting bins are required: a primary, or first-stage, composting bin and a secondary, or second-stage, composting bin (Figure 1). Floor plan of a composter showing primary and secondary bins (not to scale). Figure 1. Floorplan of a composter, showing primary and secondary bins (not to scale). Other points to consider in building a composter are location, type of structure, and materials. Storage space for raw litter and finished compost must be available or built into the composter. Composters can vary considerably and still function properly. However, all good composters share certain features. Size. The capacity of the first-stage composter bins is calculated by a formula based on farm capacity, bird size at the end of the production cycle (market weight), and the mortality rate. A minimum of 1 cubic foot of secondary composter bin is required for each cubic foot of first-stage composter capacity. This formula provides for a large composter; but for year-round operation in Alabama (where poultry flocks are large), this size is necessary (Table 1). Ideally, the composter should be sized so that the average day’s mortality will make a single layer in the primary bin. Location and Access. Properly managed composters have minimal odor. Still, the unit should not be placed near neighbors or the farm residence. The site should be well drained and should provide access to spreader trucks. An all-weather road and work area are desirable. Foundation. An impervious, weight-bearing foundation (concrete) is critical for all-weather operation. A concrete foundation keeps out rodents, dogs, etc., and prevents contamination of the surrounding area. The concrete foundation should be a minimum of 6 inches thick. Building Materials. Specify pressure-treated lumber or other rot-resistant materials because they resist the biological activity of composting. Roof. Some materials may be composted in the open, but poultry composting does not work well uncovered. A roof ensures year-round operation. It also controls rain water and percolation, which can be serious problems (Figure 2). Figure 2. Front and side elevations of composter, showing eave heights (not to scale). Gutters may be needed to divert water away from composting bins. High eave heights, which allow easy moving of equipment, may expose compost and raw materials to blowing rain. This has been a problem on several large units in Alabama. Gutters and partial sidewalls or curtains have helped to minimize this problem. Raw Ingredient Storage. In some parts of the country, more and more producers are building separate manure storage barns to facilitate the handling of manure after it leaves the poultry house. In Alabama, however, most composters are being built with the capacity to hold enough manure for the composting cycle. This capacity is essential because of the wet weather in the state and the difficulty of acquiring and transporting litter during the winter and spring months. Finished Compost Storage. Secondary compost bins provide a place for the temporary storage of compost. The producer must use the compost or move it to long term storage as secondary capacity is filled. An all-weather manure storage barn meets this need. Finished compost can also be stored outside on a well drained spot, if it is properly covered with plastic to prevent saturation from rain. Utilities. 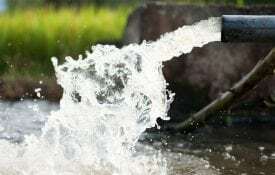 An all-weather water line is necessary for adding moisture to the compost mixture and for cleanup and wash-down of equipment, concrete, and operators. At least one 20-ampere, general-purpose GFCI duplex receptacle should be installed at each composter for operating small tools. Incandescent lights should be placed at several locations for night or predawn operation. Cost. A design for a typical free-standing farm composter is shown in Figures 1 and 2. The cost of materials for building a composter like this, including the concrete pad, will range from $3,000 to $5,000. Total costs will depend on the size of the composter, which is based on the size of the flock, and the cost of labor to construct the unit. 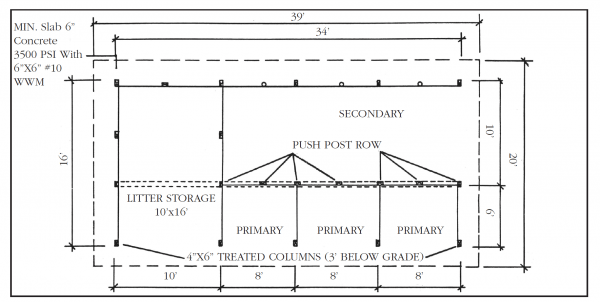 Though more expensive, combining a composter with a dry-stack storage facility offers an ideal system for composting and temporary storage (Figure 3). Large amounts of manure and compost can be stored and kept dry in hese structures for land application according to seasonal crop requirements. Figure 3. Floorplan of composter combined with dry-stack storage facility (not to scale). NOTE: The drawings shown in this publication are intended to be used for planning purposes only. They are not working plans. Have a local builder or engineer check the structural integrity of any building you wish to construct.